Here’s our latest in the Sports Health section from Dr. Jonathan Hartman and Dr. Marshall LeMoine. This topic has been broken out into 3 parts due to its’ length so keep an eye out every Wednesday of this month to stay on top of this great article. For your reference during the movement assessment, here’s the Step Back Barbell Lunge Movement Fault Guide and quick reference cheat sheet. If you’d like to read on further, the research and citations are listed below! Boren K, Conrey C, Le Coguic J, Paprocki L, Voight M, Robinson TK. Electromyographic analysis of gluteus medius and gluteus maximus during rehabilitation exercise. International Journal of Sports Physical Therapy. 2011;6(3):206-223. Comfort P, Jones PA, Smith LC, Herrington L. Joint Kinetics and Kinematics During Common Lower Limb Rehabilitation Exercises. Journal of Athletic Training. 2015;50(10):1011-1018. doi:10.4085/1062-6050-50.9.05. Ekstrom RA, Donatelli RA, Carp KC. Electromyographic analysis of core trunk, hip, and thigh muscles during 9 rehabilitation exercises. J Orthop Sports Phys Ther. 2007;37(12):754–762. Farrokhi S, Pollard CD, Souza RB, Chen YJ, Reischl S, Powers CM. Trunk position influences the kinematics, kinetics, and muscle activity of the lead lower extremity during the forward lunge exercise. J Orthop Sports Phys Ther. 2008 Jul;38(7):403-9. doi: 10.2519/jospt.2008.2634. Epub 2008 Apr 15. Flanagan et al (2003). Lower extremity biomechanics during forward and lateral stepping activities in older adults. Clinical Biomechanics, 18(3), 2 14-22. Roger W. Earle (2005). Essential of personal training. National Strength and Conditioning Association. Hefzy MS, al Khazim M, Harrison L. Co-activation of the hamstrings and quadriceps during the lunge exercise. Biomed Sci Instrum. 1997;33:360–365. Khaiyat OA, Norris J. Electromyographic activity of selected trunk, core, and thigh muscles in commonly used exercises for ACL rehabilitation. Journal of Physical Therapy Science. 2018;30(4):642-648. doi:10.1589/jpts.30.642. N Boudreau, Samantha & Dwyer, Maureen & Mattacola, Carl & Lattermann, Christian & Uhl, Tim & Medina McKeon, Jennifer. (2009). Hip-Muscle Activation During the Lunge, Single-Leg Squat, and Step-Up-and-Over Exercises. Journal of sport rehabilitation. 18. 91-103. 10.1123/jsr.18.1.91. Riemann BL, Lapinski S, Smith L, Davies G. Biomechanical Analysis of the Anterior Lunge During 4 External-Load Conditions. Journal of Athletic Training. 2012;47(4):372-378. Riemann, Bryan & Congleton, A & Ward, R & Davies, George. (2013). Biomechanical comparison of forward and lateral lunges at varying step lengths. The Journal of sports medicine and physical fitness. 53. 130-8. Saeterbakken, Atle & Fimland, Marius. (2011). Muscle activity of the core during bilateral, unilateral, seated and standing resistance exercise. European journal of applied physiology. 112. 1671-8. 10.1007/s00421-011-2141-7. Stastny et al (2015). Does the dumbbell-carrying position change the muscle activity in split squats and walking lunges? Journal of Strength and Conditioning Research, 29(11), 3177-3187. Thomas R. Baechle et al (2013) Essentials of strength training and conditioning. National Strength and Conditioning Association. Stuart MJ, Meglan DA, Lutz GE, Growney ES, An KN. Comparison of intersegmental tibiofemoral joint forces and muscle activity during various closed kinetic chain exercises. Am J Sports Med. 1996; 24(6):792–799. Here’s our latest in the Sports Health section from Dr. Jonathan Hartman and Dr. Marshall LeMoine. This topic has been broken out into 4 parts due to its’ length so keep an eye out every Wednesday of this month to stay on top of this great article. Using current evidence one possible version of a graded progressive treatment protocol for the lunge could focus on first and foremost the unweighted form of the movement, which is an aspect I feel is constantly rushed through with higher level athletes as most of them have done this type of exercise before. But just because you have done something a thousand times does not mean it was done right. In this respect our focus should be to foster athletic intellectual training in order to improve the athlete’s understanding of the correct body movements during this motion in order to enhance performance. Take the time to explain to them the purpose and the benefits of each form correction, and let them feel what each correction can do so that as the weight and variables increase they can problem solve through form corrections themselves. When training high level athletics the lift intention and athletic optimization go hand in hand as the athlete should have an in-depth understanding of how the lift connects to the exact sport movement as this will allow them to picture how it will transfer over into function and may give the seemingly separate esoteric lift a more meaningful sport specific connection. Focus from bottom to top during starting stance position, then onto the initiation of the motion as this will set up the entirety of the descent phase. 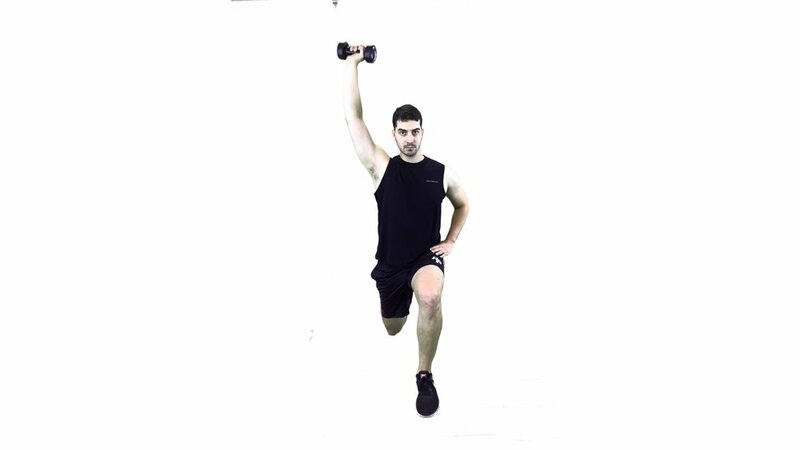 Then shift the focus to the anterior open chain moving leg for the forwards lung or the anterior closed chain stationary leg for the reverse step back lunge as it will accept the majority of the force throughout the descent phase. Finally watch the athlete’s power leg stability and trunk control as they push back up during the ascent phase ending in the starting stance position. 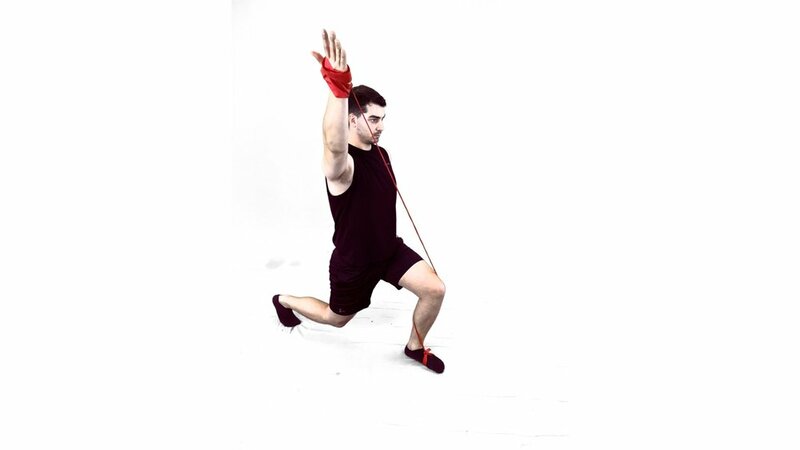 The movement guide focuses on the dynamic step back / reverse lunge but it can be applied for any lunge variation. Please use the movement fault guide below to guide the common faults seen with this exercise. Next focus on the athletes closed chain weight accepting foot / arch control and knee positioning using small external cues (such as an anterior mirror with a vertical trunk alignment tape, or by having the patient lunge next to a wall for a lateral trunk or knee alignment cue). Next, progress to a multiplanar lunge if applicable to the athlete’s sport specificity. You can also shift the focus on cueing specific muscles with a TheraBand loop around thighs in order to promote the athlete’s femoral eternal rotation and abduction. As you can see, this progression can be extensive, creative, and individualized per athlete and sport. At any point in this progression, extra weight can be added, if hypertrophy or strength is the goal, via kettlebells, dumbbells, or a barbell as well as with many other methods. Using the above evidence we can see holding the weights in differing hands or positions will vary the athlete’s trunk activation. It is suggested to start with lighter weight and then work upwards within the session or throughout sequential sessions based on the form and function of the previous lift or session. It is slightly controversial when it comes to adding a lot of external cueing and bands to an athlete performing a strength or hypertrophic lift. There are some schools of thought who think this will take away from the lift, but there is value in targeting movement faults or areas of possible future fault in order to maximize athletic function. Thus we can use band wraps as described above but instead of attaching them to the contralateral hand they can be attached to the squat rack on the contralateral side for lower extremity positioning and cueing. We can also challenge the trunk by use offset weight stacks or by adding hanging weights from the barbell via Monster-bands leading to further weighted instability. We can also further challenge the system as a whole by performing lunges with barbell or dumbbells held extended overhead on the ipsilateral or contralateral upper extremity. Hopefully this article has shed some light on what research has to say about the lunge, as well as taught you a couple of key ways to challenge, progress and modify the lunge exercise to target key muscles for your athletes. Just remember small movement optimization holds immense value with the athletic population and this can be enhanced through a progressive evidence based sport specific training and rehabilitation program. Stayed tuned for the final section of Lunging into Stride Strength with a complete recap, movement fault guide and references for your review! If you missed last week’s blog post on the Lunging Into Stride Length Part I: Introducing the Benefits of a Functional Lunge. This next section is split into 3 parts in order to focus on current evidence surrounding muscle activation, the benefits of single leg stance and core activation, and finally how differing variations of the lunge exercise stack up to each other. Let’s start with a 2011 study that utilized EMG to measure the muscle activity of the gluteus maximus and medius of 26 healthy subjects during 18 different lower extremity exercises. This study showed that of the top 4 exercises for gluteal muscle activity the only stance exercise that proved to be of high-level activation was a single leg stance exercise. This study helps to support the idea that exercises incorporating a single leg stance component, such as the movements seen in the ascent and descent of a step lunge will increase the activation of the gluteus maximus and medius muscles (1). In 2008, Farrokhi et al. performed a study on 10 healthy individuals to determine how a change in trunk position via a forwards lean, neutral, or erect trunk would influence the lower extremity kinematics and kinetics at the hip, knee, and ankle during a forward lunge. This study also monitored how these trunk variations would influence the muscle activity of the lateral gastrocnemius, vastus lateralis, gluteus maximus and biceps femoris. This study showed that the forward trunk lean lunge resulted in an average of 107.9 degrees of hip flexion, and was found to significantly increase the hip extensor impulse and EMG of the gluteus maximus and biceps femoris when compared to the neutral trunk position. This study can further guide our exercise precision and prescription to target the posterior chain via optimizing the trunk angle of the athlete when performing a lung exercises (7). In a 2009 study that took 44 healthy individuals, and had them perform a lunge, single-leg squat, and step-up-and-over exercise, and recorded EMG of 5 muscles (rectus femoris, dominant and nondominant gluteus medius, adductor longus, and gluteus maximus). This study showed that the rectus femoris, gluteus maximus, and dominant side gluteus medius were activated in a progression from least to greatest during the step up and over, lunge, and single leg squat. Interestingly gluteus medius on the non-dominant leg activation was from least to greatest during the single leg squat, step up and over, and then the lunge. This study supports the idea that the lunge muscle activation differs with the dominant and nondominant leg but in either circumstance this exercise is a viable and possible superior choice option for strength training when compared to the step up and over and the single leg squat (11). Next, surface EMG was used on twelve active female subjects to compare activation of eight trunk, hip/core, and lower limb muscles (erector spinae, rectus abdominis, gluteus maximus, vastus lateralis, rectus femoris, vastus medialis, biceps femoris, and semitendinosus) during the forward lunge, double leg raise, glute bridge, sit-up, and squat. The neutral trunk forward lunge produced significantly higher activation in the vastus medialis, vastus lateralis, and rectus femoris muscles compared to the other exercises, thus supporting the specificity of muscular adaptations to specific lifts (10). One important take away from these studies is the fact that we can strengthen the lower extremities and gain muscle activation with a majority of the weight emphasis on a single leg. Since we are strengthening with a bias towards one leg the load on the bar or weight held in the hand will be less than a similar closed chain bilateral lower extremity exercise such as the squat. This is a very useful thought as limiting the load on the spine and increasing single leg stability and strength, while activating frontal plane trunk stability may be beneficial for a high level athlete looking for career longevity or for an athlete trying to gain lower extremity strength after recovering from a trunk injury. Not only does this reduce joint forces on the spine, it allows for better matching to sports specific positional movements. Next, let’s look at the core muscles with lunge progressions. Weights can be held overhead with a barbell, dumbbells or even a single dumbbell and this next study sheds light on which will activate the supportive trunk musculature to a better extent. Using 15 healthy males, EMG of the superficial core muscles (rectus abdominis, external oblique, and erector spinae) was measured between a seated, standing, bilateral, and unilateral dumbbell shoulder press exercise. This study’s findings show that in order to enhance activation of the superficial core musculature, standing exercises should be used instead of seated exercises, and unilateral upper extremity exercises should be used instead of bilateral upper extremity exercises (14). Thus if we wish to further challenge the trunk of the athletes performing these lifts we would want to progress from a bilateral upper extremity external load such as a barbell to a unilateral upper extremity load such as a kettlebell or dumbbell held by the side and then possibly overhead. The succeeding 3 studies look at variations of lunges and their various benefits. In the first study a total of 16 recreationally active, college-aged adults participated in an anterior lunge with 4 external-load conditions of 0%, 12.5%, 25%, and 50% of body mass applied while kinematic and ground reaction force data was collected. This study showed that from a kinematic perspective, the lunge involves greater motion at the knee, but from a kinetic perspective the anterior lunge is a hip-extensor dominant exercise and with the addition of external weight the greatest joint kinetic increases were seen at the hip and ankle, with little change in the knee contributions. Thus, kinematically the lunge focuses more joint motion at the knee than ankle and hip but kinetically it remains extensor dominant and increased loading increased ankle and hip contributions with minimal linear knee contributions (12). In a study with nine men who performed a single-leg squat, forward lunge, and reverse lunge with kinetic data captured using 2 force plates and 3-dimensional kinematic data via a motion-capture system. They observed greater eccentric and concentric peak vertical ground reaction forces during the single-legged squat than during both lunge variations with no differences between the two lunges. Using this evidence appropriately with respect to a joint loading progression from least to most for the hip, could begin with the single-legged squat with progression to the reverse lunge and then finishing with the forward lunge. In contrast, a joint loading progression from least to most for the knee and ankle should begin with the reverse lunge and progress to the forward lunge and then the single-legged squat. So, if you want the least amount of hip joint loading, think single leg squat. If you want the least knee and ankle joint loading, think reverse lunge, which reversely loads the hip joint more. This study can help guide which type of lunge we use in correlation to the joint forces at the hip, knee, and ankle with higher level athletes who are prone to overuse of certain joints, who’s muscle activation are altered by joint mechanics, or who are rehabilitating from pain at any of the above joints (3). Finally, in 2015, a study was conducted to determine the effects of dumbbell-carrying position on the kinematics and electromyographic (EMG) of the gluteus medius, vastus medialis, vastus lateralis, and biceps femoris during walking lunges and split squats. 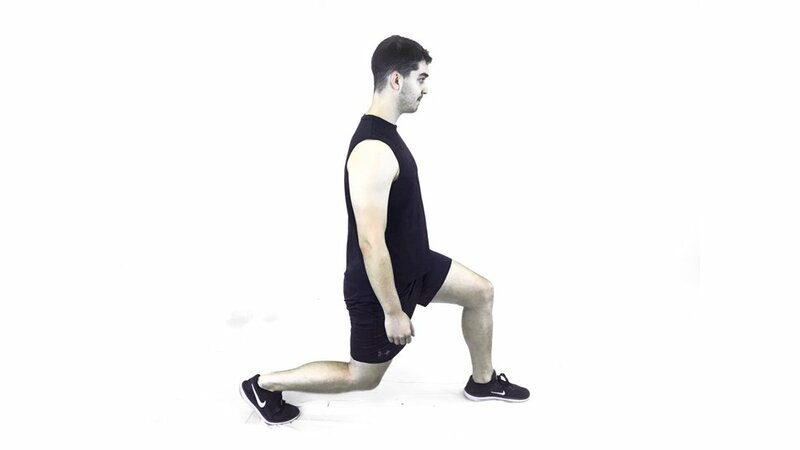 The 28 subjects performed ipsilateral walking lunges (weight held on the same side as the moving limb), contralateral walking lunges (weight held on the opposite side as the moving limb), ipsilateral split squat, and contralateral split squat in a randomized order in a simulated training session for a 5RM. This study showed a higher eccentric vastus lateralis amplitude during walking lunges with weight held in contralateral arm. 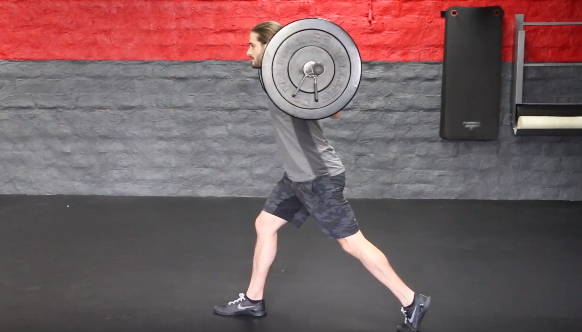 The walking lunges with the weight in the contralateral arm resulted in higher eccentric gluteus medius amplitudes as well as peak amplitudes of greater than 90% MVIC. Therefore, the walking lunge with the weight held in the contralateral arm to the moving leg may be optimal to increase the gluteus medius and vastus lateralis maximal strength and activation (16). Here’s our latest in the Sports Health section from Dr. Jonathan Hartman and Dr. Marshall LeMoine. This topic has been broken out into 3 parts due to its’ length so keep an eye out every first Wednesday of the month to stay on top of this great article. With any high-level athletics training, it is important to keep the “force vector training theory” in mind. 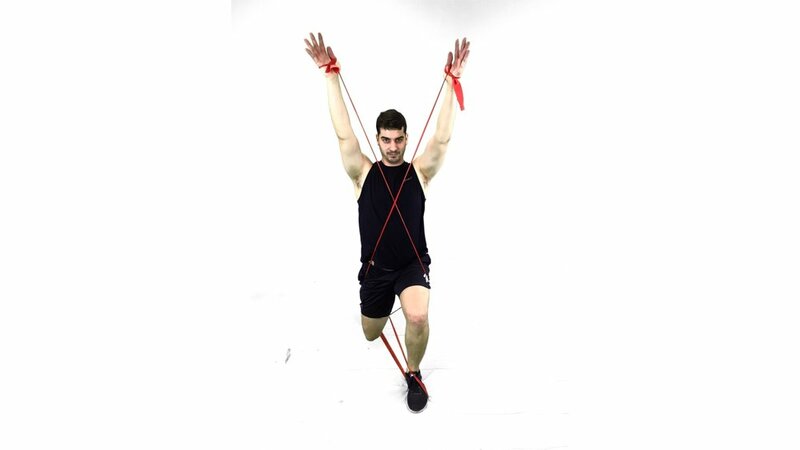 This trains the athlete as close to their sport’s specific body position while opposing or resisting the most exact line of pull, or direction of resistance that they will encounter when playing their full speed sport. This will vastly help the athlete attain the most sport specific muscular adaptations and the correct sport movement patterns, for best carryover onto the field or court (4). We should strive to train each athlete according to the proper sport specific force vectors with optimal muscle activation patterns which at times may involve ipsilateral lower and upper extremity sport patterning, (seen with the squat for a jumping athlete), or a contralateral upper and lower extremity sports pattering, (seen with the lunge for a running athlete). In the past articles I have broken down an ipsilateral pattern with the squat and deadlift, and thus in this article I will discuss the contralateral pattern enhancing strength gains that can be attained using the lunge. 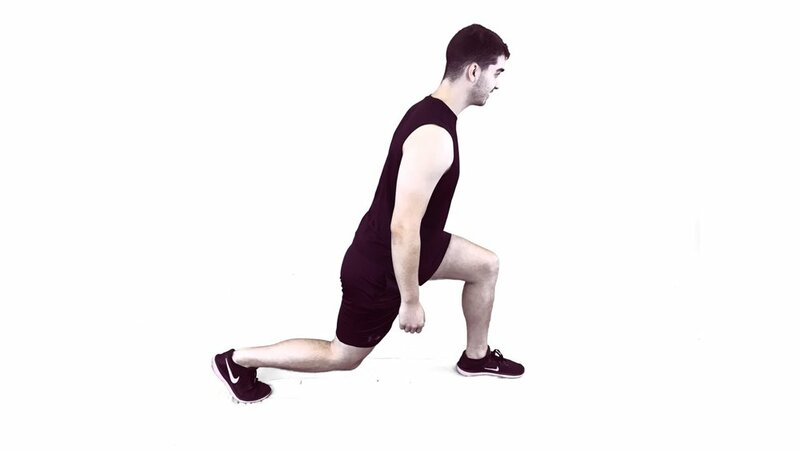 This article will focus on the benefits of the step back, forwards, and stationary lunge as it is a functional multi-joint exercise that is commonly integrated into lower extremity progressive athletic optimization programs. This exercise has vast benefits as it can mimic the reciprocal contralateral patterns seen in sports activities, can target single leg stance trunk stability and control, can aid in enhancing single limb push off and stability, and can be modified and progressed in a vast array of ways to target specific sports specific muscle groups of the lower extremities and trunk. When compared to a closed chain bilateral lower extremity exercise such as a squat, this lift is primarily performed with the majority of the weight on a single lower extremity and thus we can overload the muscles of the supporting lower extremity with less overall weight therefore reducing the total load on the athlete’s spine. I will also give insight into how to progress this seemingly simple exercise into many different ways, using many different external aids, as well as highlight which joints and parts of the movement are most susceptible to form break down. The supportive studies for this article will shed light on how the evidence behind the lunge will closely simulate the strength adaptations needed for the sport specific muscles involved in running and single leg stride sports. There is also evidence to support how the differing aids and variations of this lift will affect certain muscles and joints, as well as this lift’s role in enhancing pelvic and trunk stability and balance.